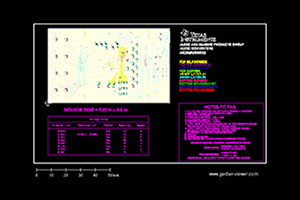 This TI Design also intends to allow easy evaluation of the automotive qualified versions of the DRV8801 and DRV8872 (DRV8801-Q1 and DRV8872-Q1). The DRV8801-Q1 is a 2.8-A peak, full-bridge, brushed DC motor driver capable of driving the retracting function of vehicle side view mirrors. With the built-in automotive protection features of overcurrent, thermal, shoot-through, UVLO, and wide-input voltage (wide VIN) range, this motor driver provides the necessary features to survive a harsh automotive environment. 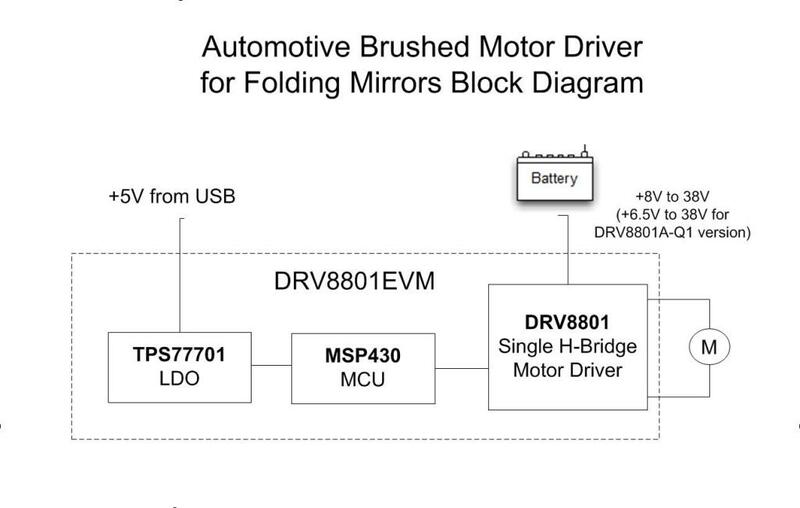 Additionally, this TI Design provides test data to allow the designer to quickly evaluate the performance of the DRV8801-Q1 and the DRV8872-Q1 for their folding-mirror modules.